Traffic on the NAPAfrica exchange rose by 2Gbps following the Netflix announcement. Popular video-on-demand (VOD) service Netflix launched in 130 countries last night, including SA. To provide a seamless service to the South African consumer, the company will make use of the Teraco-funded NAPAfrica Internet exchange (IXP) in Johannesburg. 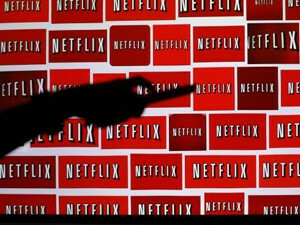 Michele McCann, head of business development at Teraco, says all Netflix content will be peered off the NAPAfrica IXP "in a similar fashion to how Microsoft, Google and other large content giants are doing". Teraco has requested technical details of the content delivery remain undisclosed for security reasons, but to the consumer, this means content will be available to stream locally with few delays. McCann cites YouTube and Facebook as examples: "A few years ago, watching a video in SA would take forever because of buffering. Similarly, when a Facebook user wanted to upload pictures to the network, they often had to leave them to load overnight. Now both companies [Facebook through Akamai] make use of NAPAfrica, which gives users a much faster experience." NAPAfrica is a non-profit entity fully funded by Teraco; its goal is to bring Africa's content to the world and the world's content to Africa. McCann says the company has been in talks with Netflix for a number of years. Last night, immediately after the announcement, McCann says traffic on the exchange rose by 2Gbps, which speaks to how streaming services will continue to rise in popularity. "This may be a driver for people to invest in better Internet services in their homes, which will be better for the networks and the ecosystem as a whole." NAPAfrica has over 250 members on the exchange, including Vodacom, Cell C, Telkom Internet, Afrihost and Vox, among others. The exchange previously peaked at 70Gbps, and now with Netflix, it is 72Gbps. In Q4 2015, subscribers watched more than 12 billion hours of Netflix, up from just over 8 billion a year ago, the company said at the launch. The South African Netflix Web site advertises monthly plans starting from $7.99 (R126.50) per month, with a free month's trial.